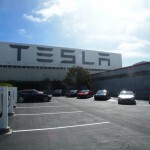 Ten years ago Elon Musk posted the first super-secret Tesla Motors master plan on the company blog. It seemed that nobody remembered he’d done so, because the company is routinely attacked over making playthings for rich people when the plan all along has been to build the Model 3 (affordable 200+ mile range electric car) and to expand from there to other markets. That and solar power integration has been in Tesla’s master plan all along, so why is it confusing that Tesla Motors wants to unite with Solar City? It’s kind of obvious, yes? BTW, Elon did not mention this, but at the Intersolar conference last week a Solar City engineer spoke about their plans to develop systems to control electrical loads beyond solar-roof-with-battery. Solar City is looking to become a full services energy systems supplier to home owners, and in turn integrate with wholesale electrical markets as a virtual power plant. 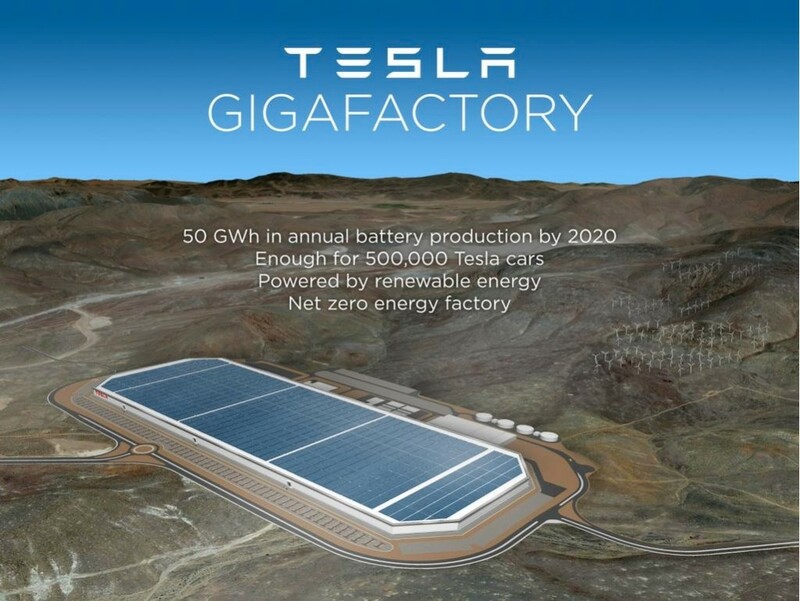 And by the way, they’re planning to accelerate the ramp-up of Tesla Model 3 production to 500,000 cars per year in 2018. The demands on the company to do all this have gone beyond insane, perhaps. Given that Elon Musk described the first master plan as “It wasn’t all that complicated” maybe gives us a perspective on his state of sanity? 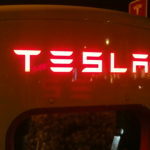 It fully makes sense for Tesla MOTORS to expand the product line to cover more types of cars. Other car companies do this, so why not Tesla Motors? Compact SUV? Yup, I’m all there, given that I currently drive a Kia Soul EV and in the past drove a Chevy Tracker. Pickup Truck? Yup, those are very popular vehicles. That’ll bring Tesla Motors into a completely new market segment since most such trucks are used for commercial purposes. For example, would such vehicles include a power export function so that contractors don’t have to drag along a generator? And maybe the Solar City half of the company would make a trailer for solar panels to generate power in the field? The city-bus-mass-transit idea doesn’t have to involve cloning existing bus’s but installing an electric drive train. There are several companies on the market doing this already, such as BYD and Proterra to name two. Elon talked about it having autonomous driving, and a “summon” button, meaning it might not even have a driver. It could be smaller in size for perhaps 10-20 passengers per vehicle. I’ve seen some concept vehicles along these lines. The Semi-Truck idea is another area where lots of miles are driven, and is ripe for decreasing fossil fuel consumption. While there are several companies building electric or hybrid or fuel-cell driven class 8 big trucks, none of those are meant for long haul trucking. Instead they’re tasked with around-town hauling to fit within a 50-100 mile maximum range. What if Tesla Motors were to expand the Supercharger concept so it worked with big trucks? 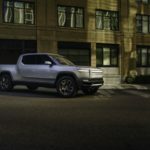 The power level per truck might have to increase to 500kW or more charge rate, because getting 200 miles with a big truck is going to require a megaWatt-hour or so of energy storage, which then means a 500-1000 kW charge rate for a 1 hour recharge. (there’s no calculations behind that — as I recall, a 50 mile range big truck requires 250 kWh) What if the truck had full autonomy, and could auto-configure itself into a “Road Train” (a.k.a. convoy)? Maybe such a truck could drive itself across country, automatically stopping at charging stations as needed, etc. 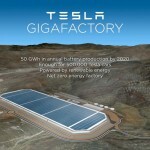 The fully integrated solar-plus-battery system — well, there are several companies approaching this problem currently. This idea isn’t unique to Tesla Energy. California’s CPUC has been working on a very similar idea — California Rule 21 — for a couple years, looking to integrate Distributed Energy Resources (DER) assets into a cohesive system that shares power and capabilities back and forth under control of the utility companies and ISO organizations. The result should be an amazing transformation of the electrical utility system. CPUC Commissioner Sandoval wrote a couple weeks ago likening this to the Carterfone decision that opened up competition in the telecommunications industry that later enabled the Internet and smart phones and all kinds of things. 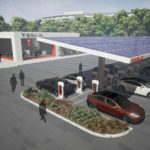 Tesla Energy and Solar City wants to be at the forefront of this, and to take a leading dominant role in providing energy services to individual home-owners and businesses. They said so last week at Intersolar, and they’re lining up business capabilities to deliver on that idea. All of these things are possible. The scope of this new super-secret master plan is jaw dropping. But, really, it’s all very possible between technology that’s already developed/proven, or technology that’s currently being finalized/proven. It’s “just” a matter of execution, eh? Autonomous Vehicles, Electrified Trucks, Robocars, Self-Driving cars, Solar Electricity, Solar Power, Tesla Motors. Bookmark. 1. What, no outrageous 1000+ HP sportscar with individual wheel vectoring? Drat. 2. Pick-ups make the most sense, as getting low fuel-economy ICE vehicles off the road is the best approach. 3. The last ICEs to go will necessarily be long haul semis, and that’s fine, that’s the toughest nut to crack: let’s get everything else addressed first.